My Twitterfeed was running at some supersonic speed that morning. Friends in my “Sisterhood” column in Tweetdeck were writing blogposts, tweeting wisdom, re-tweeting others’ posts, sharing images and inspiration, even promoting books. From my desk, it felt like there was a sound rising from the words. A sound like a vast roar. A sound like good news. That’s when it dawned on me: I was hearing the sound of women’s voices, publishing good news. I heard the sound of thousands of words, typed up into Times New Roman, rising to tell about this Goodness that pierces the ordinary. I heard the sound of struggle stories with Grace beaming through the most broken pieces. I heard the sound of radical encounters, hearts breaking for those who suffer in our world. – Words for long mothering days. – Words for fighting injustice. – Words of worship from a kitchen sink. – Words of getting wrecked for an ordinary, comfortable life. This kind of good news sounded savvy, rather than sappy; real and authentic, not perfectly impossible. – The goodness of God in two twin beds awaiting the arrival of adopted siblings. – The goodness of God in the grief of losing another baby. – The goodness of God in honest, hard conversations between mother and son. – The goodness of God in a marriage restored. – The goodness of God in a writer finding her spark again. 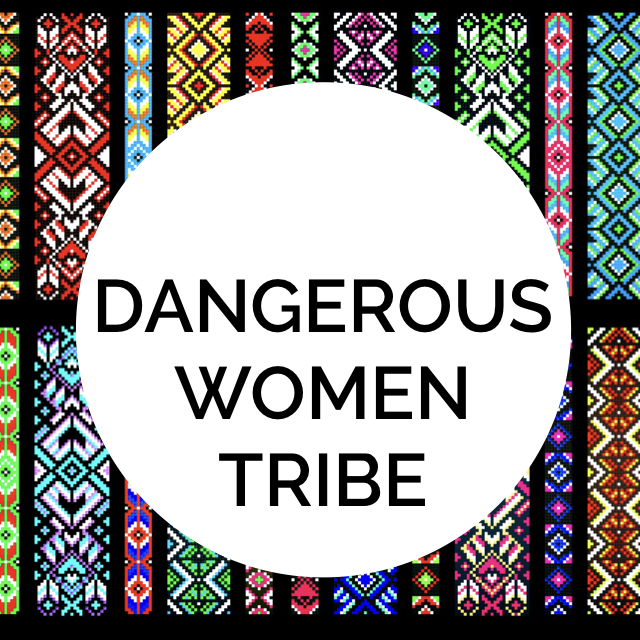 My awareness of the collective sound of the words moved like a rising river through my body as I imagined every tweet, blogpost, comment and status update written–even just that day—by ordinary women like you and me … women spilling over with words about our God-shaped lives. That’s when I realized: This is a living out of Psalm 68 verse 11 right here. I could pinch myself. It wasn’t quite what I’d imagined when I first read the text about 15 years ago. That day when my body lit on fire with these magnificent words in a little red Good News Bible I carried around with me everywhere in the big city of Taipei. The women–ordinary women. Mothers and Marys, ready to hear and receive, carry and bear. But also radical Marys, willing to pour out their lives at the feet of Jesus in Haiti, Ghana or Guatemala. I’m not quite sure what I imagined then, that many years ago, what a fulfilling of these words could look like, but I don’t think it included Twitter, WordPress or Facebook. 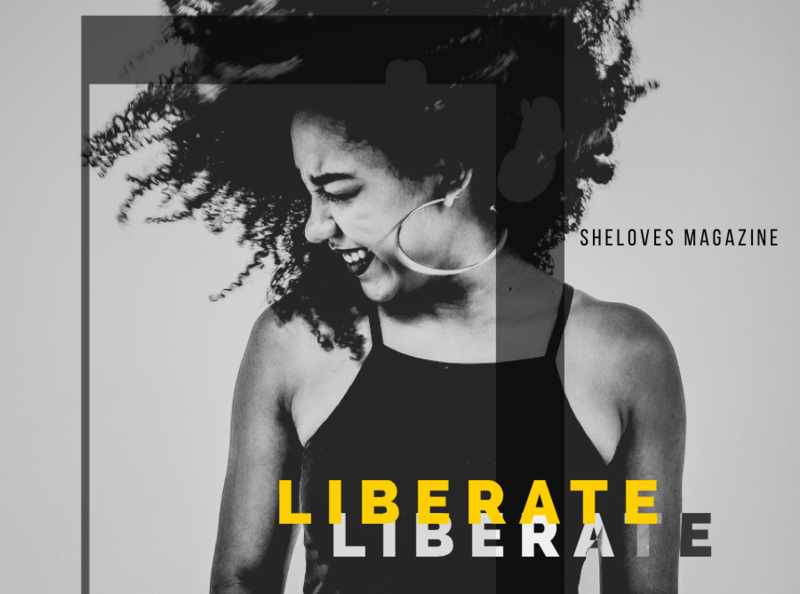 And yet … My heart now catches that same fire when I see and read and dance along with these words from the hearts of women. A rising tide of women, awake and awakening to God’s story on the earth, moving forward in doing what we know in our hearts to do. – A willingness to stay uncomfortable. – A willingness to stay awake at our post. – A willingness to stand in the difficult places. A Yes to mobilizing on behalf of others. Yes, to doing what needs to be done. Yes, to expressing what burns in our hearts. Yes, to piercing the dark with our Light. It’s staying awake, in the kneeling. And gathering, awake, for the burning up of our oiled lives, together. Knowing: There’s long hours ahead of us and still much work to be done. Dear SheLoves friends, come join us today for our September SheLoves Synchroblog: AWAKE. (A “synchroblog” simply means we are writing simultaneously on the same topic.) We have 15 Kindle copies to give away of Jeff Goins’ amazing book, “Wrecked” to the first 15 link-ups on this synchroblog. 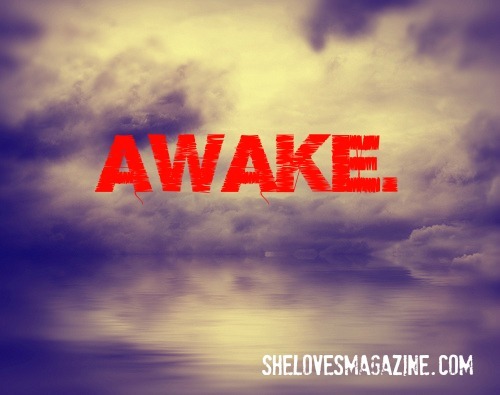 Write and publish your own reflection on “Awake” by Thursday, September 27 at 10am (PST). Link to this SheLoves post by Idelette. Link up your post with the Linky Link prompt (below). Please be sure to add the link to your specific “Awake” post, and not your general homepage. We will read all the posts linked up by Thu morning at 10am (PST) and select ONE POST to be published this Saturday, September 29 on SheLoves. (We’ll keep the Linky open a while longer, but your post just won’t be considered for publication.